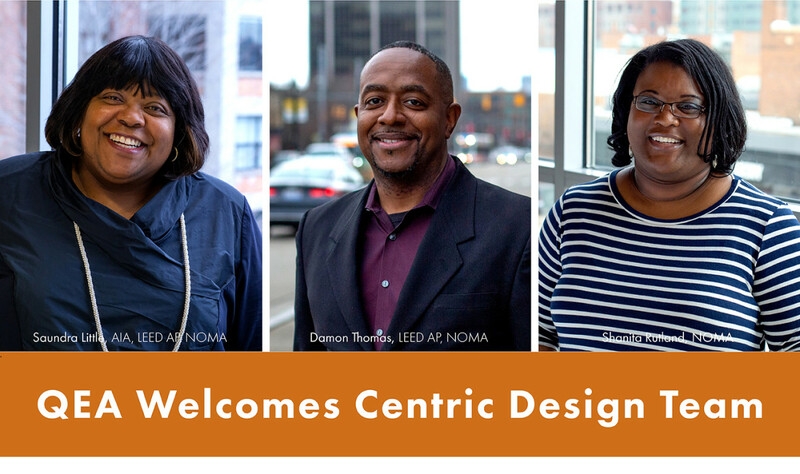 Quinn Evans Architects, an award-winning planning and design practice, has announced that Saundra Little, AIA, LEED AP, NCARB, NOMA; Damon Thomas, LEED AP, NOMA; and Shanita Rutland, NOMA, of Centric Design Studio have joined the firm’s Detroit office. Centric Design Studio has closed its Detroit practice and transferred current projects to Quinn Evans Architects. 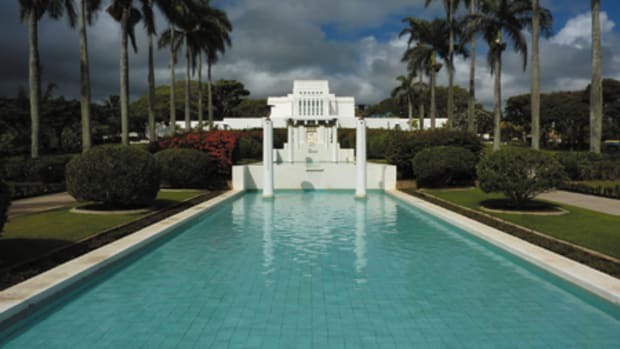 Both practices have been widely recognized for their portfolios of cultural, institutional, educational, and commercial design work, including renovation and redevelopment projects. Saundra Little and Damon Thomas have joined Quinn Evans Architects as senior associates. An accomplished architect and project manager with more than 15 years of experience, Little has overseen the design of several notable projects in the Detroit area including the award-winning first-floor renovation of the TechOne building at TechTown for Junction 440, design-build renovations at Burton International Academy, and design of the David Klein Gallery, which also won multiple design awards. Little also managed the design of the innovative Hair Essentials Salon, a business incubator in Ann Arbor, Mich.; and provided façade design for a complex adaptive use project that created the Arab American Museum in Dearborn, Mich.
Little is a member of the American Institute of Architects (AIA), an advisory board member of the National Organization of Minority Architects (NOMA), and a board member of New Step CDC. She is a founding member of the Advisory Board of Design Core Detroit, an organization established to promote Detroit’s legacy of design and advocate for expanding the creative economy. Little is a LEED Accredited Professional and holds a Master of Architecture (1998) and a Bachelor of Science in Architecture and Design (1994) from the Lawrence Technological University. Damon Thomas also has more than 20 years of experience in architectural design, planning, and construction administration. His portfolio also reflects several Detroit projects, including the planning and design of the TechOne first-floor renovation and co-working space at TechTown, the David Klein Gallery, the Bridging Neighborhoods Program office for the City of Detroit, and the Randolph Law Offices; as well as S & L Manor, a multifamily residential development featuring universal design in Farmington Hills, Mich., and an interior renovation and environmental graphics project for Inalfa Roof Systems in Auburn Hills, Mich.
Thomas is a LEED Accredited Professional and a member of NOMA and the Society for Experiential Graphic Design. He holds a Bachelor of Science in Architecture and Design from the Lawrence Technological University (1995) and an Associate of Science in Architecture from Henry Ford Community College (1990). Shanita Rutland has joined the firm as a designer. Rutland brings ten years of experience to her position with Quinn Evans Architects, working with a broad range of building types and sizes. She is adept in the use of design and 3D modeling software, and has served as an instructor at ITT Technological Institute. Rutland is a member of NOMA and served as the graphic design chair of the University of Detroit Mercy School of Architecture Alumni Council. She has also participated in the AIA’s Christopher Kelley Leadership Development Program and serves as the communication advisor. Rutland holds a Master of Architecture (2004) from the University of Detroit Mercy. She also studied overseas at the Warsaw Polytechnic University. 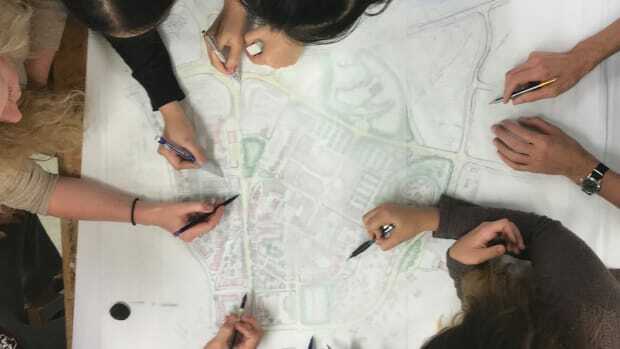 Rutland’s advocacy for diversity and inclusion includes participating in K-12 educational outreach programs where she mentors and introduces architecture and design to students in the metro Detroit area. Quinn Evans Architects and Centric Design Studio have teamed on several notable projects in the Midwest, including the Crapo Building redevelopment in Bay City, Mich.; and the award-winning adaptive use of the former Owens Corning world headquarters—the historic Fiberglas Tower—into the mixed-use/residential Tower on the Maumee in Toledo, Ohio. The two firms also collaborated on a comprehensive survey and documentation of several 20th-century African American civil rights sites throughout the city of Detroit. Current Centric Design Studio projects that will move to Quinn Evans Architects’ Detroit office include the redevelopment of the former Detroit Water and Sewerage Department building into the Riopelle Market in Eastern Market; the redevelopment of the Holcomb School in Detroit’s Old Redford neighborhood into residential co-ops; and, in association with VolumeOne Design Studio, design of the West End Art Building, a mixed-use building including an art gallery on Grand River Avenue. 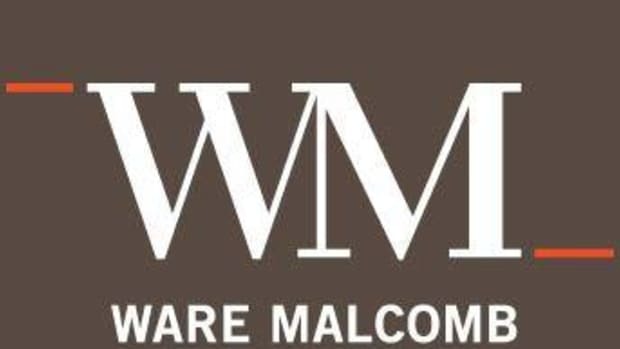 Ware Malcomb, an award-winning international design firm, announced they have moved into a new, larger office space.